Its been a long and cold winter break for Dottie, lots if work has been going on behind the scenes here at Vintage Wedding Day. Dottie has spent some time away from home recently having a little make over. 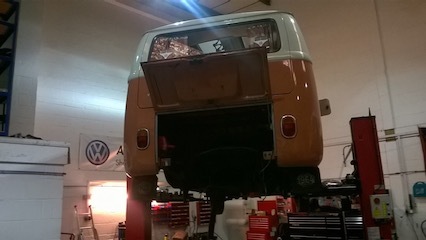 We are pleased to say she's had disk breaks fitted, her electrics overhauled, her engine has been remounted and lots of other little things to make her even more awesome. 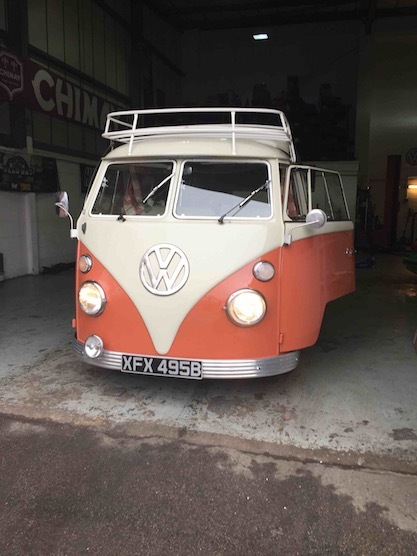 We cannot thank Autohaus Dolby in Sheffield enough for their expert knowledge and super friendly service, Dottie enjoyed her stay, but she's glad to be home.